Size of Property : 854 sq.ft. Exclusive with Provident Estate! 1 bedroom in 29 boulevard. The 29 Boulevard Tower is a stylish residential in the Downtown Burj Khalifa. It is set around a beautiful lake and boulevard provides an unparalleled living experience.Featuring luxurious podium level amenities within a bustling boulevard. 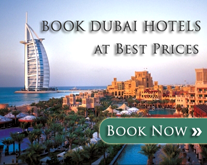 Downtown Dubai is a large scale and mixed use complex development project. It is a district in which most of the landmarks of Dubai have been built, including the tallest tower and largest shopping or entertainment destination in the world, Burj Khalifa and Dubai Mall. Call Hend Karam on +971 507549654 or visit www.providentestate.com for further details. Bur Juman, Al Ain Centre, Mussalla Tower Mall, Dana Plaza, CentrePoint Shopping Mall, Al Rais Shopping Centre, Carrefour, Spinney’s, Reef Mall, Ansar Gallery, Karama Shopping Centre and Deira City Centre are few of the shopping and retail arcades located within Bur Dubai district.